Its Breast Cancer Awareness Month! I’m sure we have all been affected by breast cancer whether directly or indirectly. 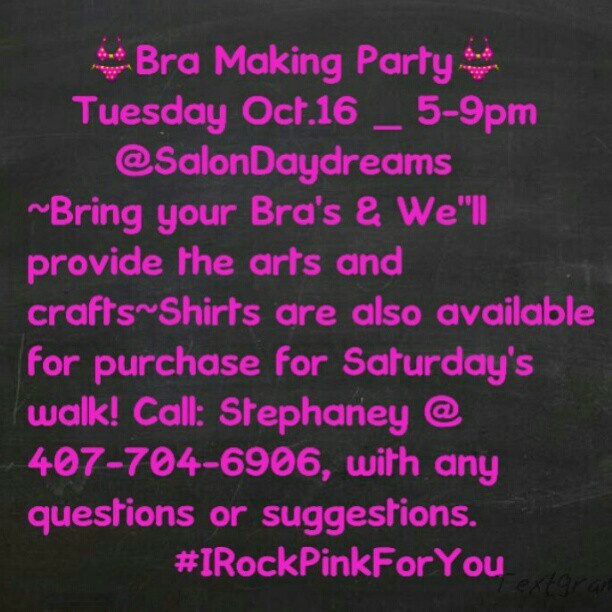 Salon DayDreams is actually having a bra making party in preparation for their Breast Cancer Walk on October 20! How much fun is this going to be!? Check out the details below! Also make sure to “like” them on facebook by clicking here.